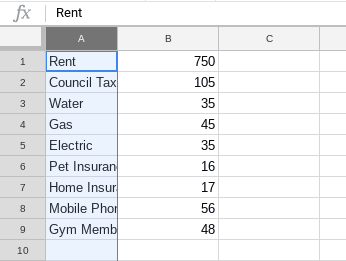 When using spreadsheets you’ll most likely come across a time when the text in cells is no longer visible. There are a few ways to fix this. 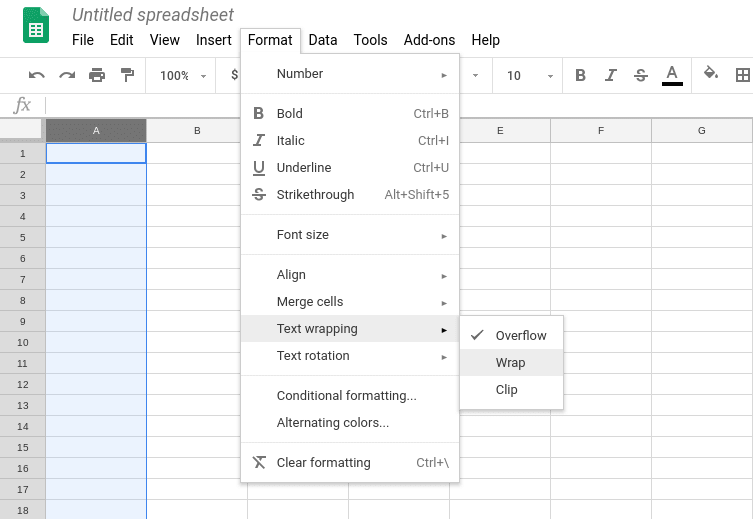 This article will look at the different methods and explain how to wrap text in Google Sheets. 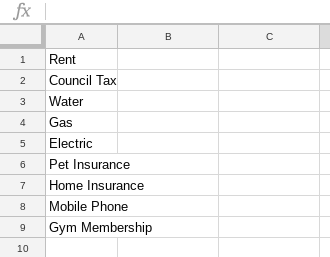 If there is no data to the right of the cell where the text does not fit. Then this does not cause a problem because as you can see from below the text will simply overlap into the cell to the right. However, if you do have data entered in the adjacent cell this will cause a problem. When this happens some of the text is no longer visible, as you can see below. There are four ways you can fix this problem and we’ll take a look at all four to see the advantages and disadvantages. One option is to simply shorten the text in the cell. Choose this option if you do not want to extend the width or height of the cell. You need to be careful though as this may mean using abbreviations. Although abbreviations can be useful; over time they may lose there meaning if people use the spreadsheet that are unfamiliar with the abbreviations used. You could extend the length of the column. This is the ideal solution if you do not want to extend the height of the cells. The only issue with this is that it means you’ll have less horizontal data on the screen at any one time. If you’re trying to avoid people having to scroll to the right this will not work. 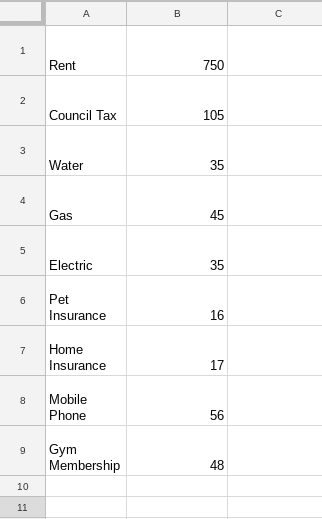 However, if this is not a problem extending the length of the column in Google Sheets may be the best option. You could wrap the text in the individual cell. 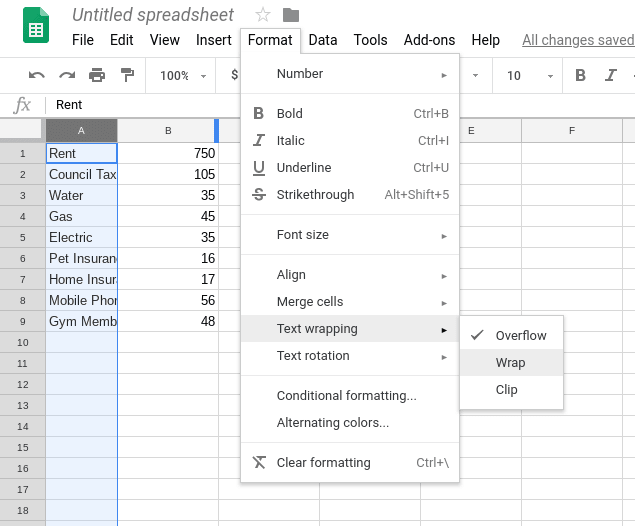 Google Sheets will let you do this. 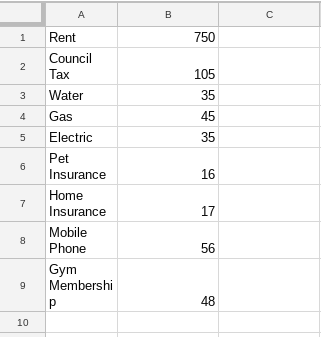 However, if you’re prepared to wrap the text of one individual cell then it would possibly make more sense to allow text to be wrapped in the whole column. If you do not want to extend the columns width and using abbreviations is not suitable. The best way to deal with text not showing in a cell is to wrap the text for that column. This is the method that we are going to look at now. 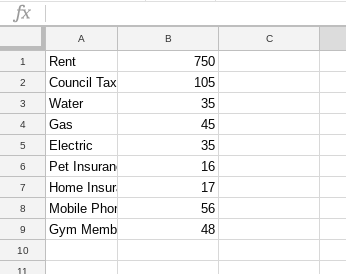 Follow the steps below to wrap text in a column. In this example, we will wrap the text in column A. You will now see that the text in column A has wrapped. You will notice it will only wrap the text where necessary, which means it may make the rows uneven, as you can see from below. If you’re happy with this you can leave it as it is. However, you may want to make the rows even. This will make the spreadsheet nicer to look at. To do this simply highlight all of the rows involved and drag the length of the row so they are all even. You should then see something similar to the image below.